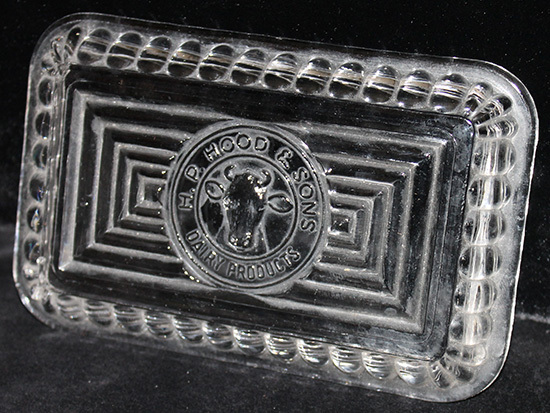 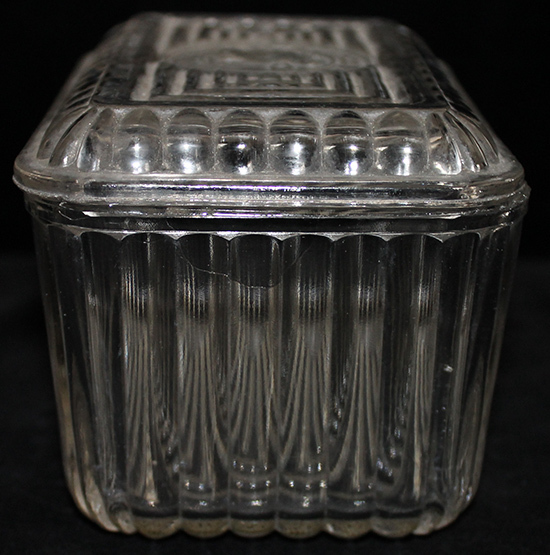 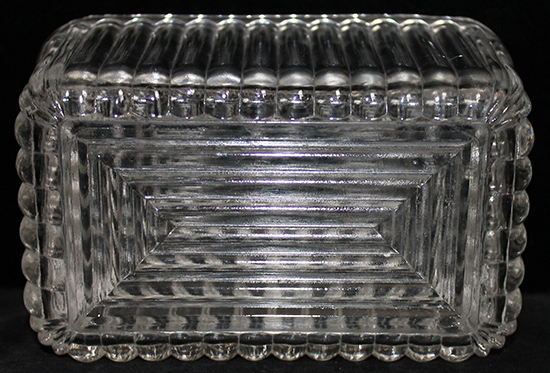 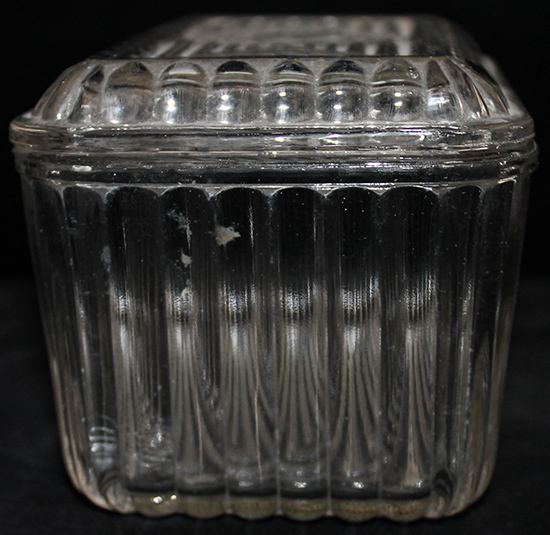 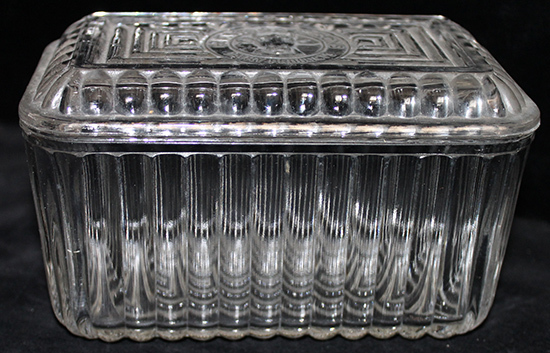 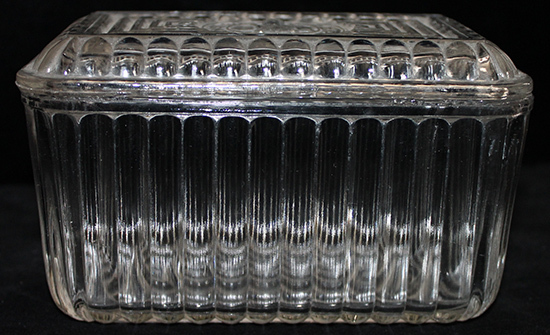 ARTIFACT: Wonderful 1920�s H. P. Hood & Sons glass covered butter dish for the refrigerator. 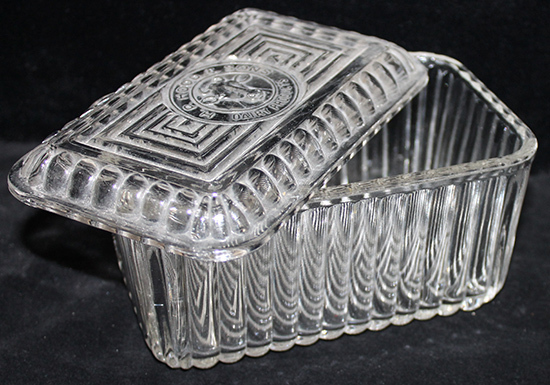 The lid features the company logo which depicts a dairy cow in the center with the words: �H. 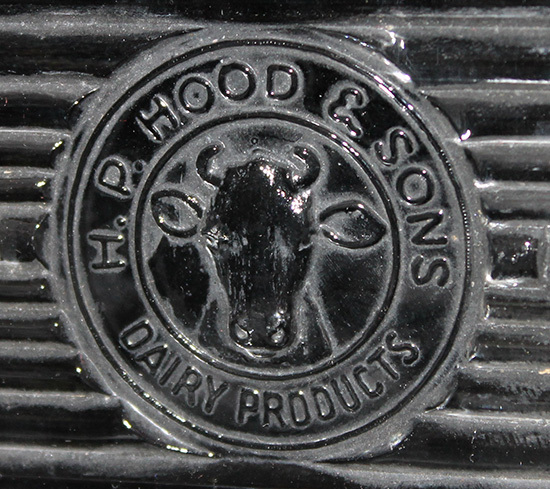 P. HOOD & SONS DAIRY PRODUCTS� in embossed letters and the company remains in business today under the name: �Hood�s�. 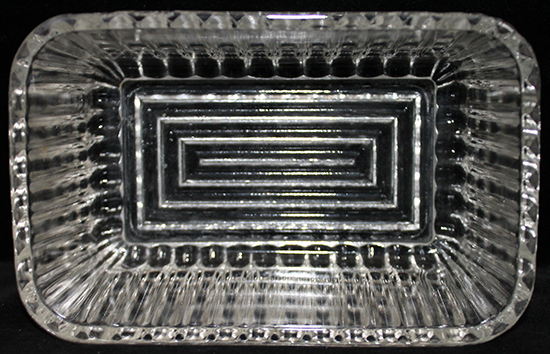 CONDITION: 8+ (Excellent): Dish shows minor edge chips, as is usual, none to lid, overall excellent condition.